Preheat oven to 450°. 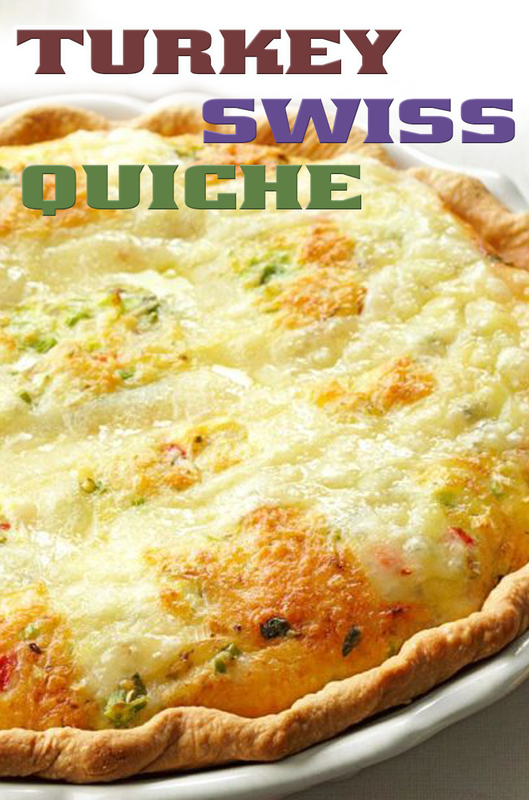 Line unpricked crust with a double thickness of heavy-duty foil. Bake 8 minutes. Remove foil; bake until golden brown, 5-7 minutes longer. Reduce heat to 375°. Sprinkle turkey into pastry shell. In a large bowl, whisk eggs and cream. Stir in the shredded Swiss cheese, onions, pimientos, oregano, parsley, salt and pepper. Pour into crust. Bake 20 minutes. Arrange Swiss cheese strips in a lattice pattern over quiche. Bake until a knife inserted in the center comes out clean, 10-15 minutes longer. Let stand 10 minutes before cutting.